As was perhaps to be expected with the pre-WLTP rush last month, the new car market bottomed out in September, falling 338,834 units. This equates to a 20.5% fall year on year. 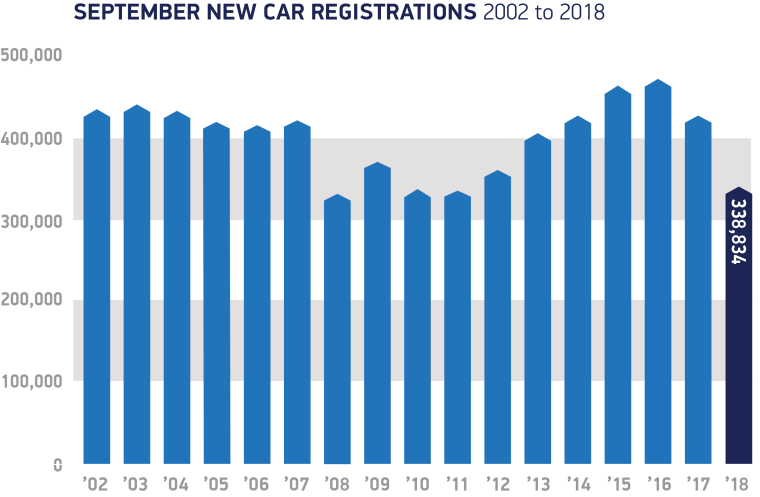 While the industry has welcomed the level of emissions testing the Worldwide Light Vehicle Test Procedure (WLTP) brings with it, the new testing has impacted supply resulting in the new car market being down by around 87,000 on the previous year. Registrations by consumers, fleets and businesses all declined by -20.1%, -22.4% and -6.3% respectively. Registrations of petrol and diesel cars also fell, while hybrids and plug-in electrics fared better up a modest 3.9%. September’s large decline follows a turbulent first eight months of the year as the market responded to a raft of upheavals. 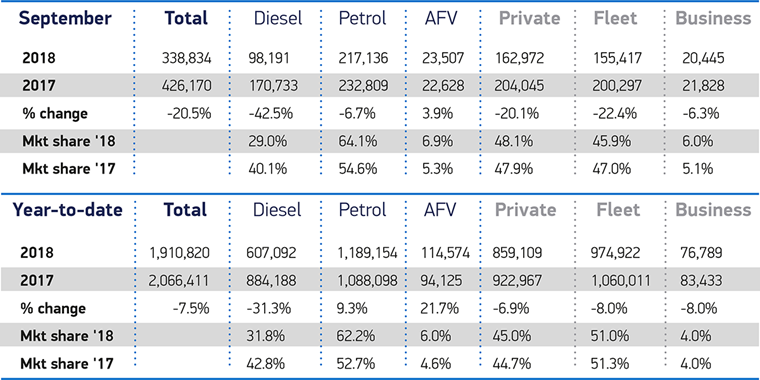 From confusion over diesel policy and VED changes to the transition to WLTP, year-to-date performance is currently -7.5% behind 2017, reflecting these factors. 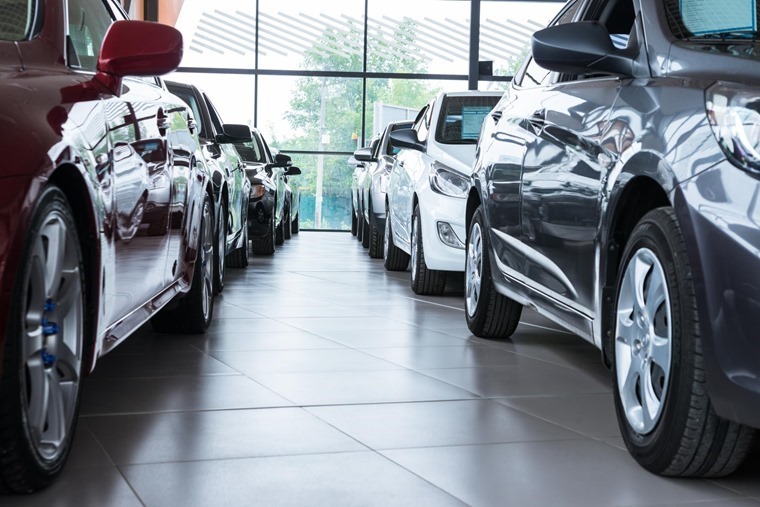 Despite this drop in business and consumer confidence, some rebalancing is expected over the upcoming months as an increasing range of new models are certified for sale and backlogs ease. Mike Hawes, SMMT chief executive: “With the industry given barely a year to reapprove the entire European model line-up, it’s no surprise that we’ve seen bottlenecks and a squeeze on supply. Declines were seen across almost every vehicle segment, with MPVs and coupes showing the biggest falls, down -54.8 and -50.9%. Saloons were the only segment to register growth, up +3.5%. Crossovers, which have enjoyed strong growth over the year to date, held steadier than most and fell just -3.5%. While the ever-dominant Ford Fiesta remains in first position for the month and 2018 overall, September saw the Vauxhall Corsa jump into second position with the new A-Class similarly coming from nowhere to take third position for the month. All cars sold in the EU now have to undergo the Worldwide Harmonised Light Vehicle Test Procedure. This test measures all regulated emissions, as well as CO2 and fuel economy. Read more: What is WLTP and how will it affect you? 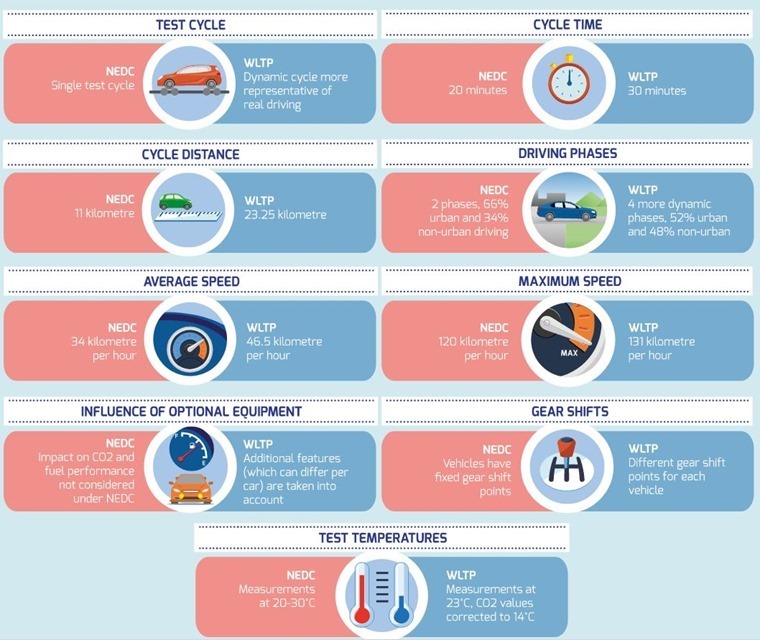 Like the old NEDC test it replaces, it is conducted in controlled laboratory conditions for consistency across every test and every new vehicle in every country. However, it is conducted at faster speeds, over a longer distance and is more dynamic, with a greater range of vehicle and engine speeds, engine load, gear changes and temperatures, while also taking into account modern vehicle technology. Because it is based upon some half a million miles of real driving data, it is far closer to the conditions most people experience on the road today.